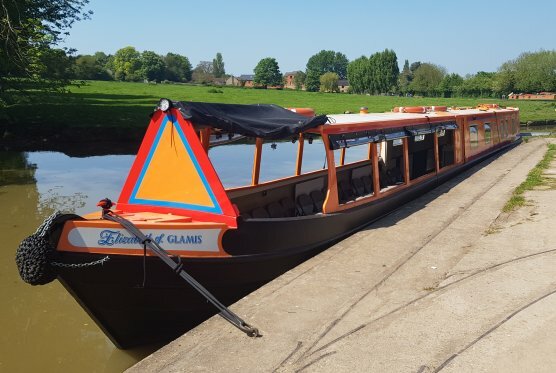 ‘Elizabeth of Glamis’, named in honour of HRH Queen Elizabeth the Queen Mother in the year of her 100th birthday, is a purpose-built all-steel narrowboat in traditional style, 70 feet long, 7 feet in beam, drawing 25 inches of water. She is powered by a four-cylinder CB Marine diesel engine, and cruises comfortably up to the 4 mph, canal speed limit, auxiliary mains is provided by a 24 to 240 volt inverter. Like all passenger vessels, she is subject to an annual safety inspection by the Maritime and Coastguard agency, and carries the required range of safety and life-saving equipment (even if we’ve never had to use any of it!). The passenger accommodation comprises a full-length saloon, incorporating an open-sided area and a raised observation deck at the front, all of which can be fully enclosed in case of inclement weather; central heating is fitted to cope with the cold for winter cruises! 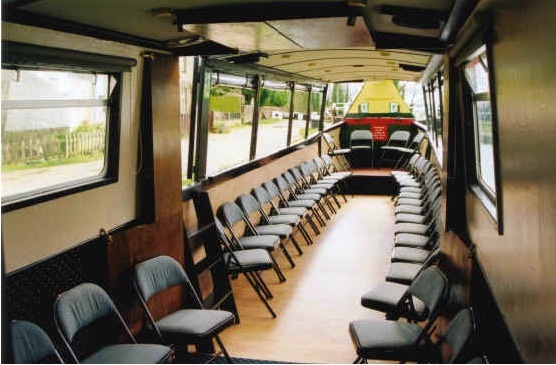 The rear part of the saloon includes the bar, which is kept fully stocked. We carry a range of beers, lagers, spirits, red and white wine, mixers, soft drinks, plus a selection of the popular modern drinks such as Smirnoff Ice and Bacardi Breezers. Our bar prices are held at or below those of local public houses. 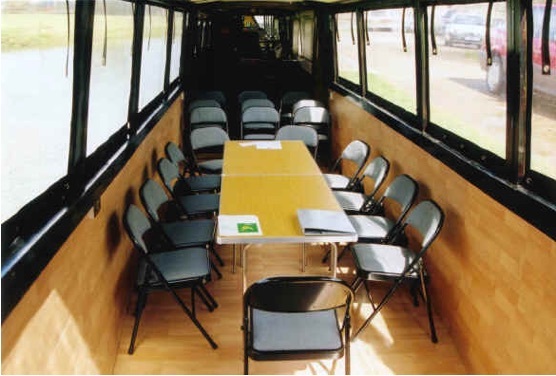 The layout of the saloon can be tailored to each party – free-standing furnishings available include seating for up to our maximum capacity of forty people, which can be laid out as required. Tables can be set up for the provision of buffets, or for other displays; or the saloon can be set up as a conference room or theatre for training, sales meetings, conferences or other purposes. For that special day out for up to 12 family, friends or colleagues we are pleased to be able to offer you the chance to be the Skipper of your own boat for a day aboard the Skylark. 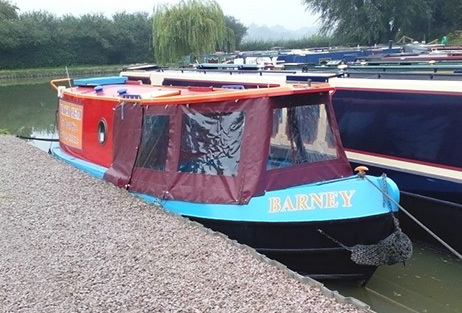 We now have a second dayboat in the fleet, called Barney. This vessel has a traditional style back deck and a slightly different internal configuration. 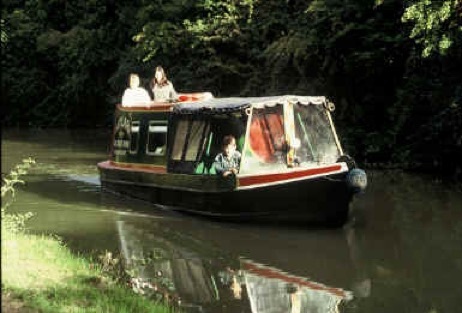 This vessel has a 12 person legal maximum capacity, but is more compact than Skylark so ideal for a combination of adults and children. The vessel is comfortable for 8-10 adults.